Coffee lovers unite! 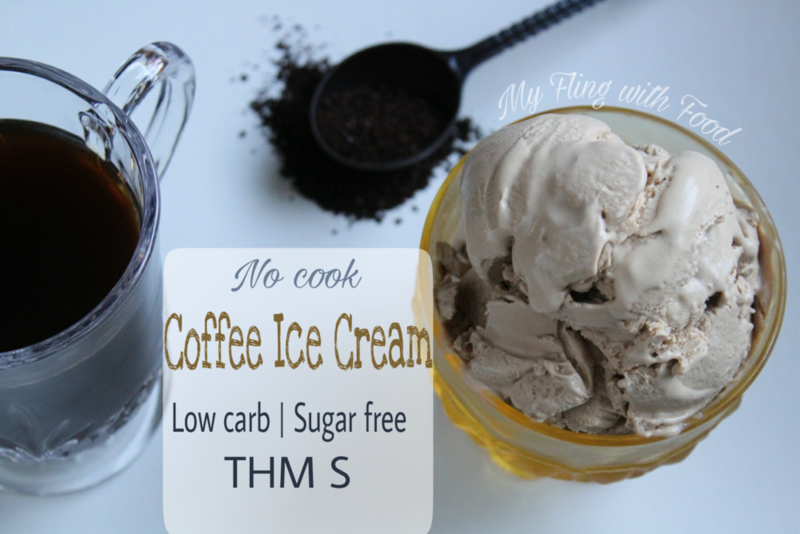 This ice cream is all the creamy deliciousness of a warm morning cup of coffee in a chilly dessert version. The first ice cream I ever loved (nay, "favorited") was Haagen Dazs coffee ice cream. I am THE coffee gal and that ice cream felt like a big java hug, but in dessert form. 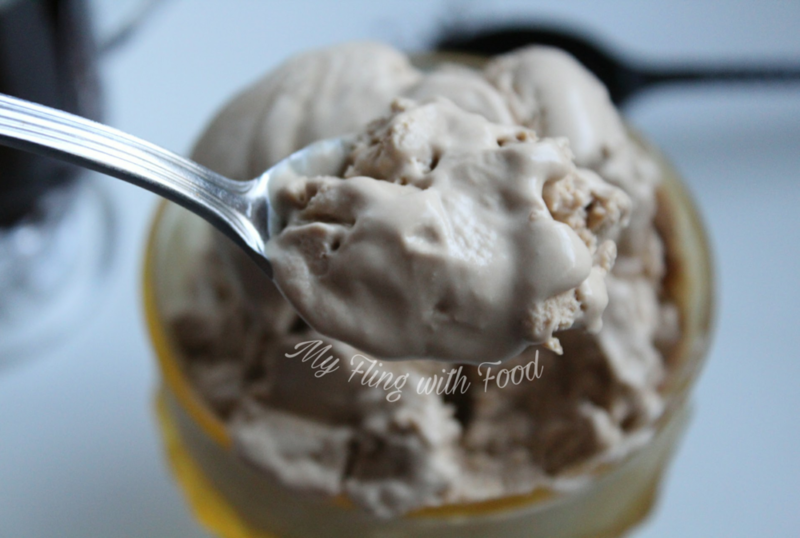 Creamy and sweet, with a distinct coffee flavor - that is this ice cream. Except this ice cream is really good for you, and super easy to make. My go-to ice cream base these days is a fat bomb - eggs, raw cacao butter, MCT oil, coconut oil, and heavy cream (or canned coconut milk, for dairy free). The result is this buttery soft ice cream, that absolutely melts in your mouth. For not a ton of milk, or cream rather, it's almost unbelievable how creamy this stuff gets. For the coffee part of it, I used instant espresso granules. You can use strongly brewed coffee as well, but you will have to use at least 1/2 a cup and reduce the cream which may make the texture of your ice cream more icy and hard. I liked the granules, because I only had to use 2 1/2 Tbsp for the whole batch, and I got a strong coffee flavor without diluting my creamy base. The best part, is that there is absolutely zero cooking involved - just melting (microwaving, in my case) and throwing it in a blender. Easy, right? If you need this base to be dairy free, you can add 1 cup of canned coconut milk instead of heavy cream. Just skip the phase where you add the ice cubes, and take it straight to your pre-chilled ice cream machine. This ice cream is not only easy to make, it's every bit as good (nay, BETTER) than top-shelf brands. Plus, you get multiple servings at your fingertips. It tastes sinful, but there's no guilt in this dreamy java dessert.